If you want a fun and good-looking crossover with the spirit of a sports sedan, you should come see the 2015 Mazda CX-5 at Cutter Mazda Waipahu. We serve the people of Waipahu, Wahiawa, Kapolei, and Pearl City, HI with great deals for all the efficient, sporty Mazda cars and SUVs. You’ll find a great selection of the full line of efficient, stylish, and thrilling Mazda vehicles here on our lot. 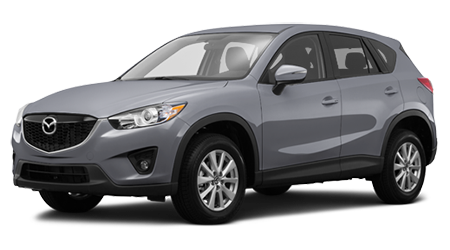 For a sporty and efficient alternative to rivals like the Ford Escape, pick the fun and functional 2015 Mazda CX-5. Though the Mazda CX-5 Sport's base 2.0-liter four-cylinder makes slightly less power than the Ford Escape's 2.5-liter I4, it gets significantly better fuel economy in town: 26mpg vs. 22mpg. Mazda also offers you the choice of a six-speed stick shift, which makes the most of the power and gets even better fuel economy. The optional 1.6-liter turbo on the Escape's higher trim levels makes slightly less power than the optional naturally aspirated 2.5-liter on the Mazda, and requires premium unleaded gas but still returns less mpg. 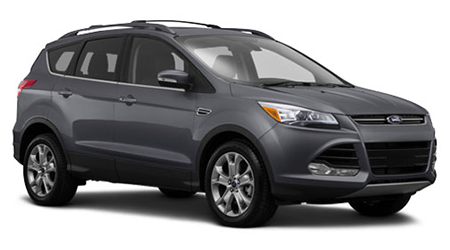 The 2015 Ford Escape’s optional 2.0-liter turbo engine does make more power than anything Mazda offers, but it is only available in the upper trim levels, and for a premium price. All that power requires premium gas too, while getting worse mileage on top of it. The Mazda CX-5 was designed from the beginning to be lighter, sportier, and more efficient than other vehicles in its class. Even though they reside in the same vehicle class, the Mazda CX-5 is about 100 pounds lighter than a comparably equipped Ford Escape. The Mazda CX-5 is lighter yet offer four more cubic feet of space inside than the Escape. Also baked into the Mazda CX-5 is that sporty zoom-zoom DNA, which delivers spirited handling more akin to a sports sedan than an SUV. While the Ford has been praised its not-so-truck-like ride, it’s no match for the Mazda CX-5 in the fun to drive category. Mazda did all this without sacrificing ride quality either. The base Mazda CX-5 Sport with manual transmission is listed at $1800 less than the base Escape; even with the optional automatic it’s several hundred less. While the Mazda CX-5 does not come standard with the Bluetooth connectivity the Escape does, it can be added as a standalone option without an expensive options package. Add the Bluetooth package and the list prices of these two crossovers are within a few dollars, but the Mazda gets standard 17” alloy wheels, while Ford gives you painted steel with plastic covers or charges $595 for optional alloys. Mazda’s Bluetooth package includes a touchscreen interface too, while Ford requires you to move up to the next trim level to get their MyTouch interface. Escape from the boring crossover of yesterday, head over to see us in Waipahu and test out the stunning 2015 Mazda CX-5. Cutter Mazda in Waipahu wants to help you escape from those other boring dealers too; we always offer great prices and phenomenal service.